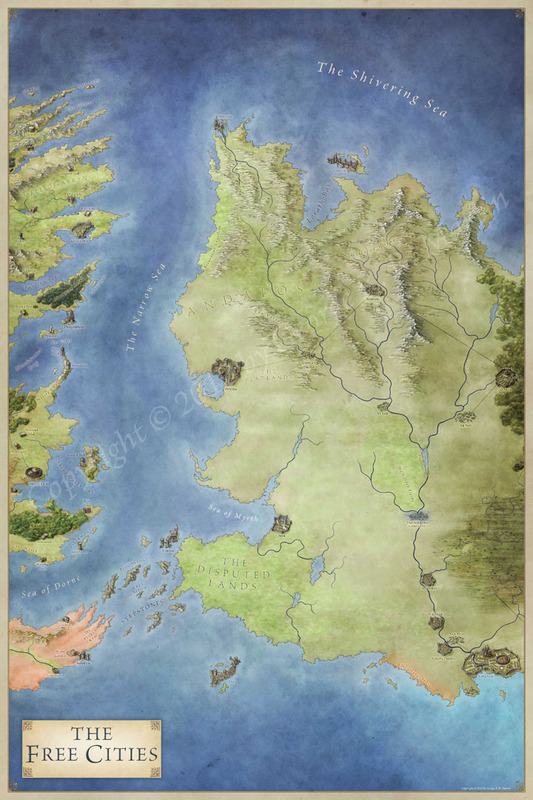 Much of the action in A Song of Ice and Fire takes place in Westeros, but the Free Cities cast a long shadow. Ships in harbor are regularly Braavosi, or Pentoshi. We know Daenarys spent time in Pentos, and the longer we spend with her, the more we realise the Pentoshi weren’t just being nice. 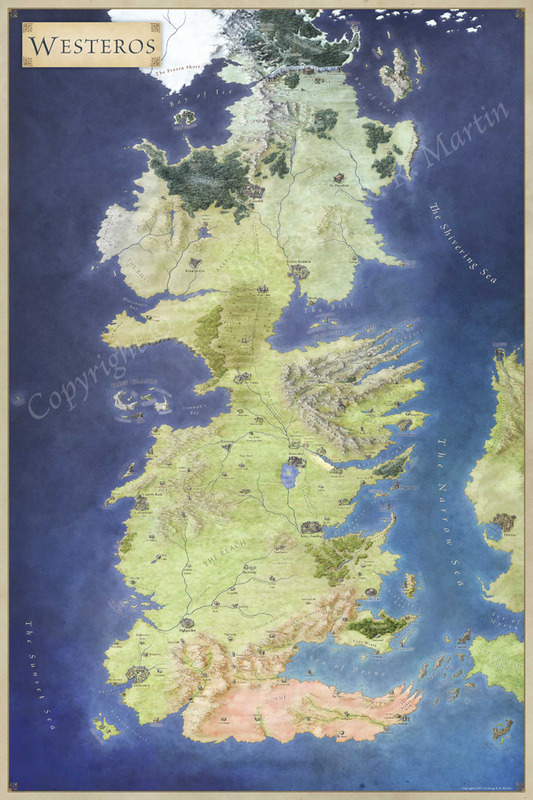 In this map we see why the Free Cities are so inextricably linked with the fate of the Seven Kingdoms. With fast sea travel they’re a short hop from most of the Seven Kingdoms major power centers. Like the relationship between France and England, the Free Cities must keep an eye on Westeros politics. This is the first map I’m showing in which I illustrated the individual cities and castles. On the posters, these are pretty small, but each gives a flavour of the city. These thumbs have been uploaded at working resolution – roughly 3 times larger than you’ll see them in print. There’s a balance between detail and time. When you’re working at 3x the resolution, you need to make sure you’re not adding details that will never be seen.